Four children were hospitalized Tuesday evening after they were thrown from a moving car being driven by an intoxicated parent, Crowley police say. 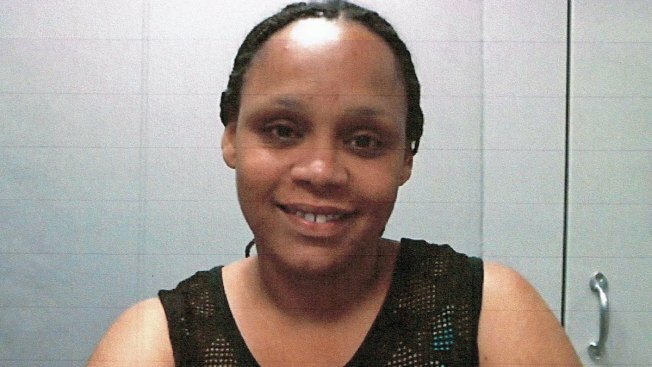 Kisha Young, 39, let six children ride on the hood and trunk of her Chevrolet Malibu because their clothes were wet; the group, including another adult, had been swimming at the Creekside Community Pool, according to police. The children, ranging in age from 8 to 14, slipped off the car and were flung into the road after Young took a corner too fast along the 400 block of Angler Drive, witnesses said. Young initially didn't realize the kids were injured until she got to the end of the block. She turned around and drove back to help, appearing panicked, witnesses said. Demi Garcia was in the front yard of her home with her father when they both witnessed the kids fall off the car. “Then the mom started backing up after my dad ran over there to the kids. Cause they were trying to lift up the little girl,” she said. Four of the children riding on the trunk were seriously injured and transported to Cook Children's Hospital in Fort Worth. "Well of course we don't know what they were thinking," said Crowley police officer C.C. Meadows. "However, they weren't thinking safety." All of the injured children have been treated and released except for a 12-year-old girl who was taken by CareFlite to an area hospital due to a severe head injury. "But from what I saw I never saw her move. They had to do everything to get her on the stretcher and everything like that so it was really, really scary," said Holly Powell who stepped outside her home and saw the 12-year-old girl lying unconscious in the street. Neighbors said they were shocked by what happened. “Anybody, they can’t be in their right mind to do that with their own kids!” said Geneva Carpenter, who lives on the street where the incident happened. “Who in their right mind think[s] a little kid can hang on to a hood? You can’t hang onto a hood,” Carpenter said. Police said Young was arrested and charged with intoxication assault, a third degree felony. She posted $110,000 bond and was released from jail on June 20. Officials have not revealed the second adult's name and are still investigating the incident. Police said additional charges are pending on both adults. Child Protective Services has been contacted and is expected to investigate. NBC 5's Amanda Guerra and Ben Russell contributed to this report.